Personal Injury How Much Can I Expect from a Bike Accident Claim? If you're on a bicycle and hit by another motor vehicle, there's no metal skeleton surrounding you to protect you. There are no air bags to cushion impact with anything, and there is no seat belt to keep you from flying through the air. The only thing that's going to stop you is the pavement, another vehicle or an immovable object. Because of these factors, bicyclists are much more likely than motorists to sustain serious injuries in accidents. There's no set formula though to determine how much money you can get after a bicycle accident. As every individual is different, each case is different. You might be able to formulate an estimate though based on the nature and extent of your damages. These damages are relatively easy to calculate. They're objectively verifiable by a sum certain. Economic damages consist of elements like property damage, medical bills and lost income resulting from the accident. You should be reimbursed for all medical bills that you incurred in connection with the accident. This includes care and treatment on the day of the accident, and any reasonable medical treatment from that day on. Future care and treatment must be taken into consideration should your injuries require it. That's why a medical determination of the nature and extent of your injuries is critical to your case. If your injuries resulted in you losing time from work, you should also be compensated for that loss of income. Future earnings should also be considered if warranted by the nature and extent of your injuries and your employment circumstances. These damages are more difficult to quantify. 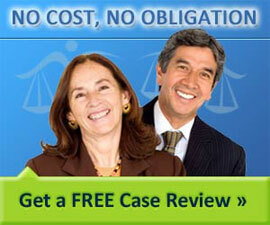 The law says that you're entitled to be compensated for all of your pain and suffering since the date of the accident. Should pain and discomfort be ongoing and/or permanent, you're entitled to be compensated for that too. Pain and suffering always a hotly contested element of damages in an injury case. The more serious the nature and extent of the injury, the more pain and suffering can be awarded. This might be an element of damages in a bicycle accident. Emotional distress can consist of anxiety, fear, depression and sleep loss that was caused by the accident. In almost all cases, New York requires some type of physical injury along with the mental injury alleged. The threshold of injury is high. If injuries are severe, a claim for loss of enjoyment of life can be made that's consistent with the alterations you were required to make in your lifestyle because of the accident. Your daily life was diminished. Much like pain and suffering, loss of enjoyment cant' be quantified either. We read about punitive damages much more often than they're actually awarded. You need to prove that the person who injured you acted intentionally, maliciously, outrageously or with reckless disregard for your safety. Punitive damages are awarded if a judge or jury wants to send a message to society as a whole that others should not act in that way in the future. Since every case is different, so are damages incurred. These are some of the things that you'll want to take into consideration in estimating the value of a bicycle accident claim. The exact amount of any settlement or verdict is nearly impossible to calculate. Kenneth A. Wilhelm is a highly experienced and respected personal injury attorney in New York who has practiced in the area of personal injury for over 43 years. Information about the Nursing Home Reform Act that protects the elderly in nursing homes, establishes rights, visiting rules, transfer conditions and more. How to identify signs of nursing home abuse and neglect, how it occurs and where to report it - lawyers, state and federal agencies, administrative personnel.